Puppies: Being Bad or Sending a Message? You’re walking down the street window shopping and you pass by a very cute puppy in the pet store window. Instantly, you fall in love with the cute little face and go inside to cuddle with the darling innocent baby. The second you hold and play with the yo ung pup you know it’s an instant match. You and your new love are soon on your way to starting a new life together and nothing is in your way. Well, until you get home and the puppy starts to destroy the beautifully decorated home. Wait! Don’t take that puppy back to the store yet. Listen to what the fur kid is telling you! Those bad behaviors could be a message to you. •BARKING: Is the barking keeping you up at night? You had a long day at work and ready for some relaxation time. Without thinking you go to your room, flip on the TV and then doze to sleep. Then it starts, your young canine friend starts barking, barking and barking. You’re enraged! You want sleep. STOP! It’s not ALL about you. Like a human baby or young child, the puppy gets hungry, has to go to the bathroom, or is bored from not having enough play time earlier. Just be lucky the puppy gave you a warning before messing in the house. 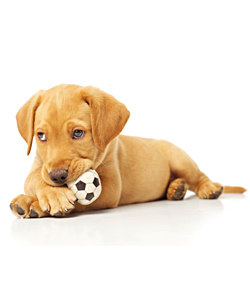 •BITING OR NIPPING: Your hand hurt after the puppy thinks it is a toy? Now you are awake and moving again, and your puppy friend is very excited! Now free from the crate, the puppy can’t wait to show you how excited and tugs on your hand. Ouch! Ok, this behavior does need to be stopped while your puppy is very young; however, do be patient. Puppies nip and mouth each other as a form of play and is a common phase and play method with their litter mates. Since this is a natural form of communication, this behavior will take lots of patience and time to overcome. •CHEWING: Missing your favorite shoes yet? Now you have gone outside and enjoyed a nice late night walk, since you are alert and having a hard time finding the desire to go to bed you start to clean your home. Uh oh! You have now remembered that you left your favorite pair or running shoes right by the front door. Since one is there, you know the other should be right next to it. Surprise! They were your favorite shoes, but before getting too mad at your young friend, remember the teething stage of babies? Oh yes puppies do that too. Chewing helps puppies from having plaque buildup on their teeth, minimizes the pain of teething and build the jaw muscles. •MESSING IN THE HOUSE: Tired of cleaning up the puddles in the kitchen? Finally, you have fallen asleep and enjoy the rest of your evening rest. In the morning you wake up, the first spot you stop is to see your cute little puppy because you have forgiven it for the bad behaviors of yesterday. Oh no! The bad behaviors are quickly remembered and you hurry the puppy outside you can clean up the puddle. Potty training can be difficult for many puppies. This process can take several weeks for the puppy to “catch on”. Lucky for you, cleaning the puddles is not as messy or smelly as changing diapers. •DIGGING: You say you have flowers planted out front? How about HAD flowers planted? Successfully, you have cleaned the kitchen and begun the rest of your day. On your way out the door, you realize the puppy isn’t trying to squeeze between your feet. Rushing to your back door, you look out to find your flowers in a pile of dirt, but not where you planted them. Going outside, you go to find the little puppy sleeping innocently in the small hole. 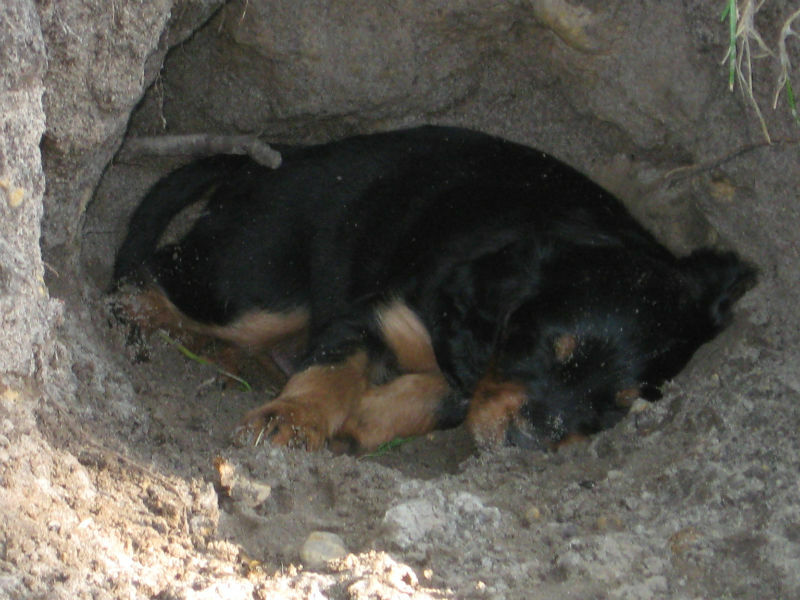 Puppies and dogs have a tendency to dig for a few reasons. Some dogs dig out of boredom or to utilize extra energy. Others dig to bury their precious possessions or to find a comfort such as a nesting spot or to cool off.